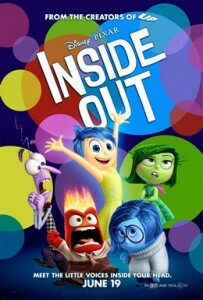 Inside Out is the latest Pixar film, it’s mostly set in the mind of a young girl named Riley, and how emotions lead her through life as she handles a move from Minnesota to San Francisco. These emotions are; Joy, Sadness, Disgust, Fear and Anger. Inside Out is directed by Pete Docter, with the writing credits going to Docter, again, and Meg LeFauve, Josh Cooley, with story by Docter and Ronnie del Carmen. The film stars; Amy Poehler, Lewis Black, Mindy Kaling, Bill Hader and Phyllis Smith. This entry was posted in Movies/TV, Reviews and tagged amc-chula-vista, amy-poehler, bill hader, disney pixar, inside-out, inside-out-movie, inside-out-pixar, inside-out-review, lewis-black, mindy kaling, movie review, pete-docter, phyllis-smith, Pixar, pixar-movie on June 22, 2015 by Eugene. 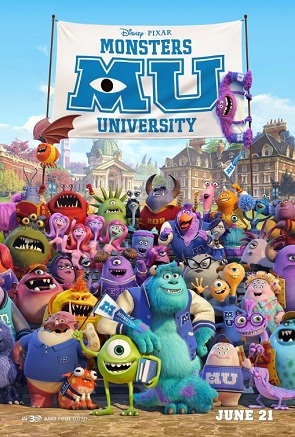 I saw Monsters University this weekend, and apparently so did everyone else. It’s a prequel to Monster Inc., letting us know the back story of how Mike and Sully became such good friends. And from the title, you guessed it, it’s when they’re in college. The good; the animation is top notch, as always. There’s moments where the film goes in to the human world, and it looks amazing. The lighting is superb. What really shines out in this movie, as opposed to other prequels, are the characters. Mike and Sully are really really well thought out. Not only are the leads solid, fleshed out, characters, but so is the supporting cast. This is where the movie really shines. The bad; other than it being a prequel, I can’t think of anything. This film is thoroughly enjoyable. The complaint I do have is that it IS a kids’ movie, and therefore… kids are in the theatre. They really can’t enjoy this movie, and what makes their parents think that they can??? Overall, do yourself a favor and see this in the theatre, try not to see it with kids that are too young though. The feature is also preceded by the short film The Blue Umbrella. Another great coupling of films. 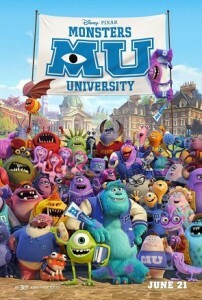 This entry was posted in Movies/TV, Reviews and tagged monsters university, monsters university film, monsters university movie, monsters university movie review, monsters university review, movie review, Pixar on June 24, 2013 by Eugene. I saw Brave at the El Capitan, always a treat at the El Cap. The short of it, it’s about Merida a Scottish Princess who buts heads with her mother, the Queen. They argue over who and what Merida should be and how she’ll be married off. Through the course of a contest to win the Princess’ hand in marriage Merida chooses to change her destiny, be careful what you wish for… throw in some bits and gags and there ya go. 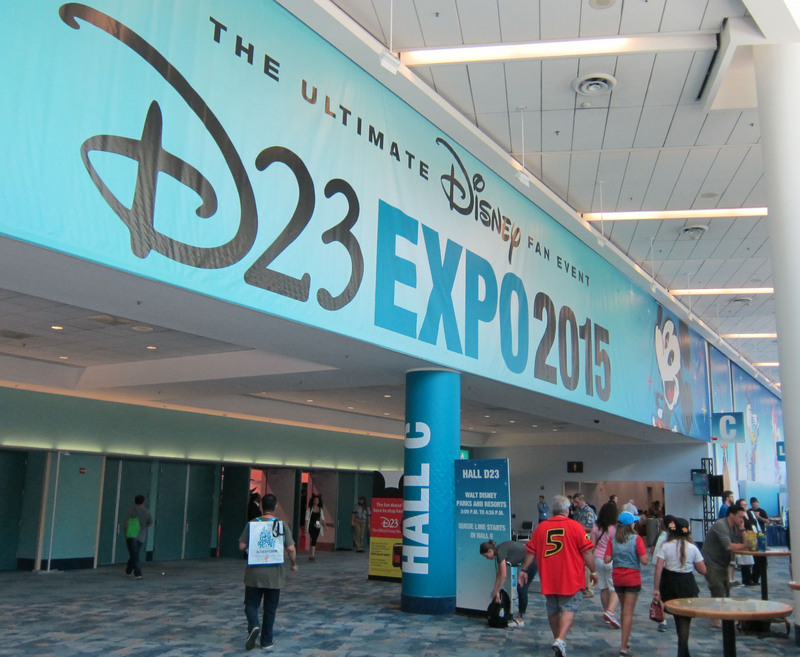 The good; it’s Pixar, it looks amazing. They pull out all the stops with the hair and Merida is the first female protagonist as well as the first period piece in a Pixar film. The opening of the movie is incredible. It grabs you immediately with child-like wonder and then slams the brakes as danger approaches. Merida’s learning to shoot a bow and arrow, then wanders off in to the woods. Upon arriving back to her parents… a bear has followed her, Merida’s father, King Fergus, stares down a ferocious bear – opening title card, wow, it had me from that moment. The spine of the story is very simple and relate-able, it’s about a child growing up and wanting to be their own person, and rejecting the person their parent imposes on them. Who can’t relate to this? It seems that it’s a part of life these days, must rebel and resist… older… people… ah what the hey, money money monies. The bad; the trailer is misleading. Honestly not much here, just that the marketing was for a different movie. You’d probably never know this from watching those excellent trailers, but the movie is a mother/daughter movie. I wanted more story and character moments, instead we got more action and thrills. This could be because the lead is a girl so they want to bring in the boy audience with the action. Overall, check it out. Pixar delivers again. It’s fun for everyone and there’s something for all the members of the family. The brothers never say a thing through out the whole movie, I wonder why that was. Don’t get me wrong, they were still funny on screen, but that question just kept creeping in. Oh, and stay for the credits (as you should), there’s a dedication to Steve Jobs and a scene at the very end. 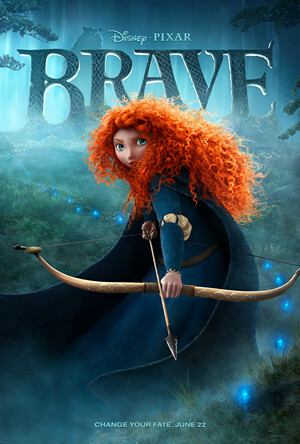 This entry was posted in Movies/TV, Reviews and tagged Brave, brave film, brave movie, brave movie review, disney, disney pixar, Pixar on July 2, 2012 by Eugene. 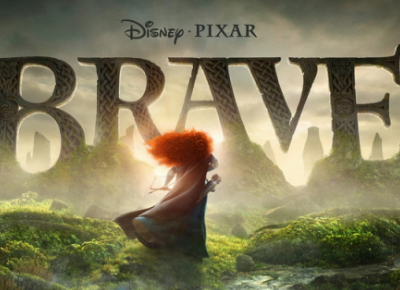 Looks like Pixar has just released a new trailer for Brave. Brave is a story about Merida (voiced by Kelly Macdonald), a skilled archer and impetuous daughter of King Fergus and Queen Elinor. Determined to carve her own path in life, Merida defies an age-old custom sacred to the uproarious lords of the land: massive Lord MacGuffin, surly Lord Macintosh and cantankerous Lord Dingwall. Merida’s actions inadvertently unleash chaos and fury in the kingdom, and when she turns to an eccentric old Witch for help, she is granted an ill-fated wish. The ensuing peril forces Merida to discover the meaning of true bravery in order to undo a beastly curse before it’s too late. This entry was posted in Movies/TV and tagged Brave, Julie Walters, Kelly Macdonald, Lord Dingwall, Lord MacGuffin, Lord Macintosh, Merida, Pixar on November 16, 2011 by David W.